Dogs are known to be loyal companions, and often times the commitment they show to others is nothing short of astounding. 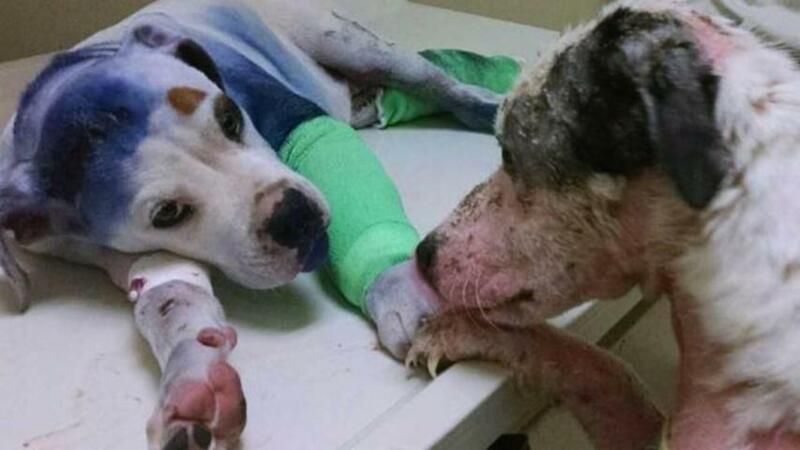 Here are 10 extraordinary dogs and their incredibly compassionate acts. Number 10. Tillie. When her adopted canine sister, Phoebe, got stuck in a cistern, Tillie sought help. Though it took her a week to convince someone to follow her and lend a hand, Phoebe was rescued and the two returned home soon after. Number 9. Mahe. The black Labrador is almost always by his best friend James' side, even when the 9-year-old autistic boy is in the hospital. Following a stressful round of medical tests, Mahe comforted James by jumping on his bed and curling up close beside him. Number 8. Simon. At just 1 year old, he'd already experienced unspeakable cruelty, but still found it within himself to comfort a dog that had been through some hard times as well. Upon meeting Sammie, who was recovering from being shot and dragged behind a car, Simon placed a reassuring paw over his. Number 7. Smiley. Born without eyes, the dog has devoted his life to helping others with disabilities. While people generally respond well to him, some time ago he accomplished what some may consider a miracle – he made a man unable to communicate smile for what may have been the first time. Kyra was thrown out to die in Northern Greece and rescued. Roosevelt Island in the Manhattan Borough of New York, New York, USA. Manhattan Borough of New York, New York, USA. Number 6. Bella. Her human companion has issues with migraines and panic attacks, so Bella was extra watchful and concerned on the woman's wedding day. Before the big walk down the aisle began, Bella spent some time soothing the bride, making sure all was well. Number 5. Blakely. It's often believed that cats and dogs instinctually don't get along, but this canine shows that couldn't be further from the truth. When the mother of 5 cheetah cubs died, the Cincinnati Zoo's nursery dog Blakely took over the cuddling and comfort giving responsibilities. Number 4. Dayko. After a devastating earthquake struck Ecuador, the young yellow Labrador helped search the rubble for survivors. Though Dayko saved many, he did not survive the arduous rescue mission. Number 3. Haus. In an act of great bravery and love, the German shepherd took on a rattlesnake that was messing with Molly, his 7-year-old human. The dog emerged anything but unscathed, and his recovery involved an extended stay at an animal hospital. Number 2. Kala. Just hours before she and her best buddy Kiera were to be euthanized, Kala gave her shelter pal a hug that ended up saving their lives. 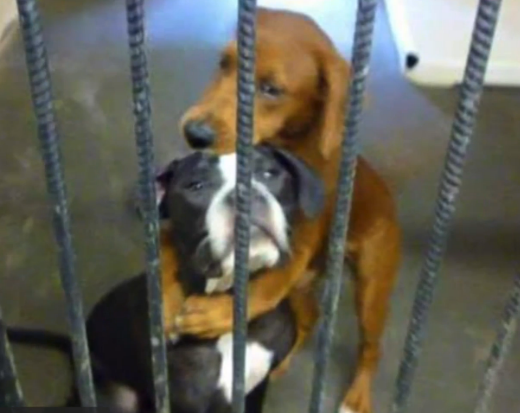 The photo of the embrace went viral, and the publicity helped get them placed in a forever home. Number 1. Cora. As if being surrendered to a shelter isn't bad enough, this new mamma dog was separated from her babies. Staff noticed how sad she was, and orchestrated a reunion. Cora perked right up and immediately started nuzzling and snuggling her pups. Which incredibly compassionate act do you find most heartwarming?